I'm a native Arabic speaker with an M.A. in English Language Studies and good translation, proofreading, writing and editing skills. Having studied translation academically, gave me a good command of theoretical and practical sides of translation. Furthermore, I have a good working experience in these fields. 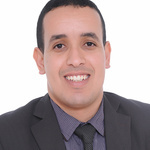 Abdel is precise, delivered on time and has a talent for naturalistic phrasing in English. I would definitely work with him again. Abdelilah delivered a very good translation from English to Arabic. I recommend working with him. good job. will work with this guy again. Abdelilah produced quick and accurate work. Highly recommended. Thank you. It's my pleasure, thank you very much. thank you Abdelilah , amazing work . It's my pleasure! Thank you very much.